Fall is here! Well, at least that’s what I’ve been telling myself! I took advantage of all the fresh produce that goes along with the summertime, but now I am ready to begin enjoying some fall flavors--one of which is pumpkin. 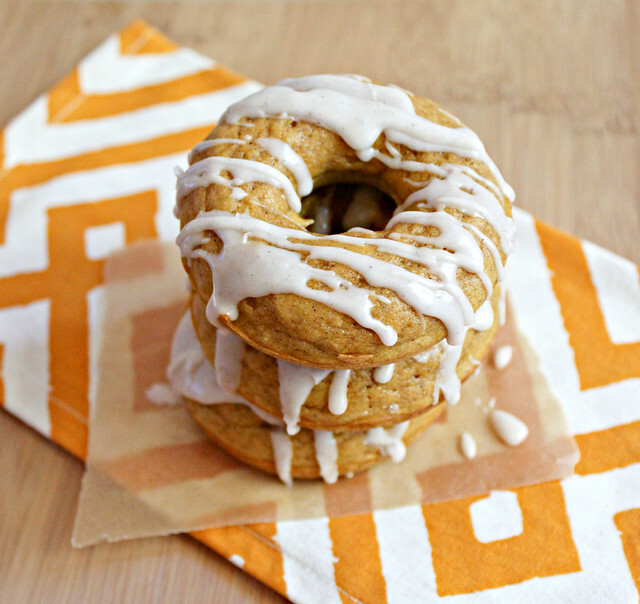 These pumpkin doughnuts are the first thing of the season that I used pumpkin in, but I can guarantee they won’t be the last. 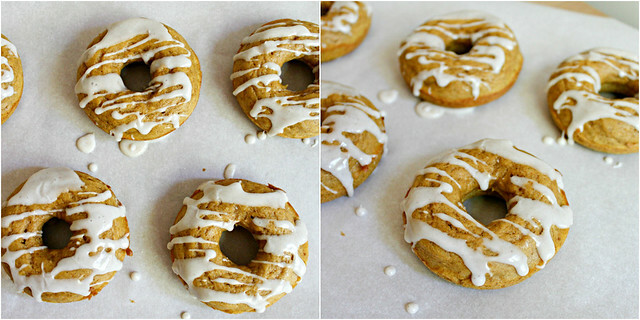 These baked doughnuts are so simple to make. I reduced the original recipe to only make 6 doughnuts which is reflected below. The glaze on these doughnuts is wonderful. I decided to drizzle the icing, keeping in mind that Russell does not like too much. I also didn’t have any maple extract on hand so I used maple syrup. The maple flavor was present but I think I will use maple extract next time. *Half of a tablespoon is 1 1/2 teaspoons. Preheat oven to 425 degrees F. Spray a 6-well doughnut pan with non-stick pan. In a small bowl, combine cake flour, baking powder, salt, baking soda, ground nutmeg, ground cinnamon, brown sugar and white sugar. In a medium sized bowl, melt butter. Stir in pumpkin puree. Add milk, egg, and vanilla extract, stir until combined. Add dry ingredients to wet ingredients and stir until just combined. Evenly distribute the batter in the doughnut pan. Bake 6-7 minutes. Let cool 1-2 minutes in the pan and then remove to a wire rack to cool the rest of the way. For the glaze: In a small bowl, combine powdered sugar, maple extract, ground cinnamon, and milk. Stir until combined. If you would like your glaze to be thinner, add a little more milk until you reach the desired consistency.